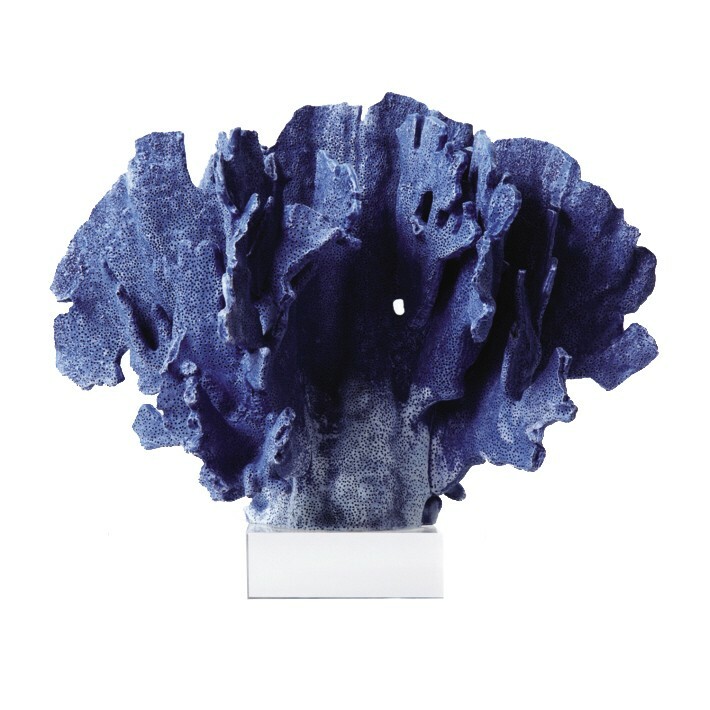 Place our beautiful Blue Coral on Glass Base Sculpture on a shelf, desk, or tabletop in any room to emanate the natural splendor the magical sea. The intensifying blue coral is made from Cold Cast Porcelain, and will brighten up your home in dramatic ways. Color variations may occur.